Sherry Harlan devotes a substantial amount of her practice to representing small and medium-sized business in their general corporate, real estate and financing matters. She focuses her counsel on matters involving contracts, annexation, leasing and zoning. In addition, Ms. Harlan is experienced in the area of real estate acquisition and development. 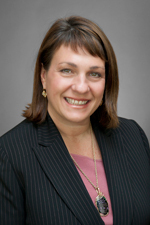 Ms. Harlan joined Hinshaw & Culbertson LLP in June 1987. She is an appointed lawyer-to-lawyer trained mentor for the Seventeenth Judicial Circuit.